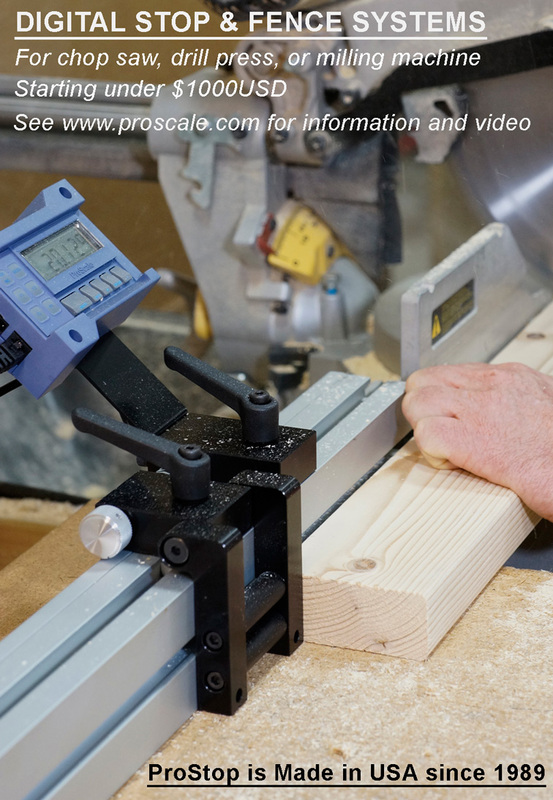 - ProStop is a complete Digital Stop and Fence System for miter saws. 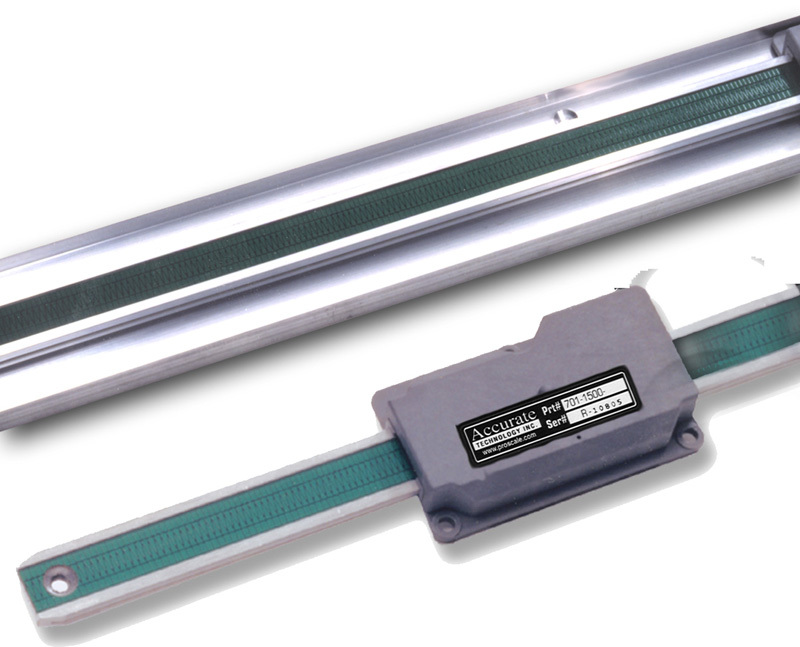 It includes an aluminum Fence, a Flip Stop with fine adjust, reversible 90°/45° plate and double lock down mechanism plus 2 "Quick Sets ". 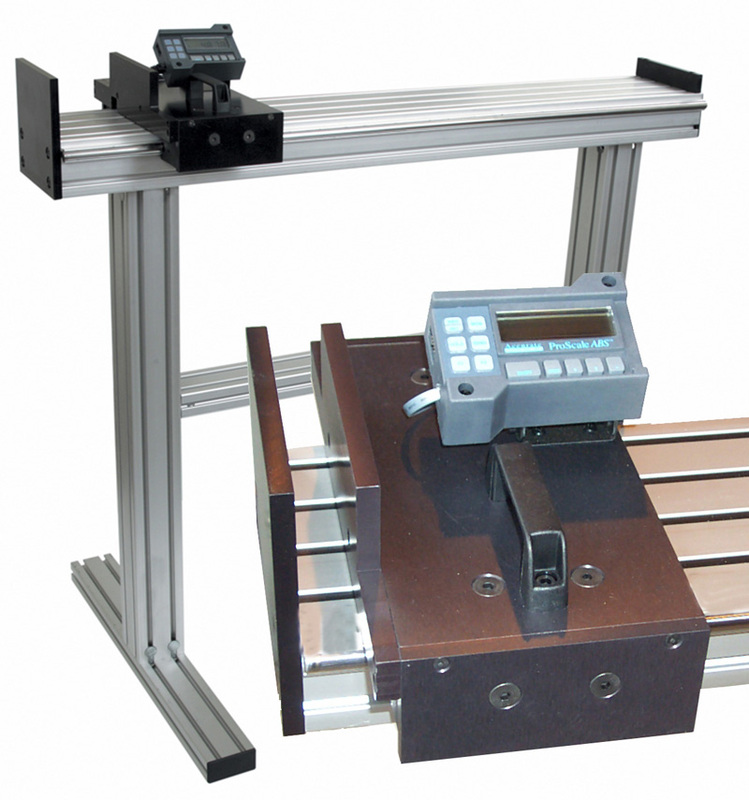 Quick sets are useful for setting one or two cutting positions that are used often allowing very fast setup for your most common cut lengths. 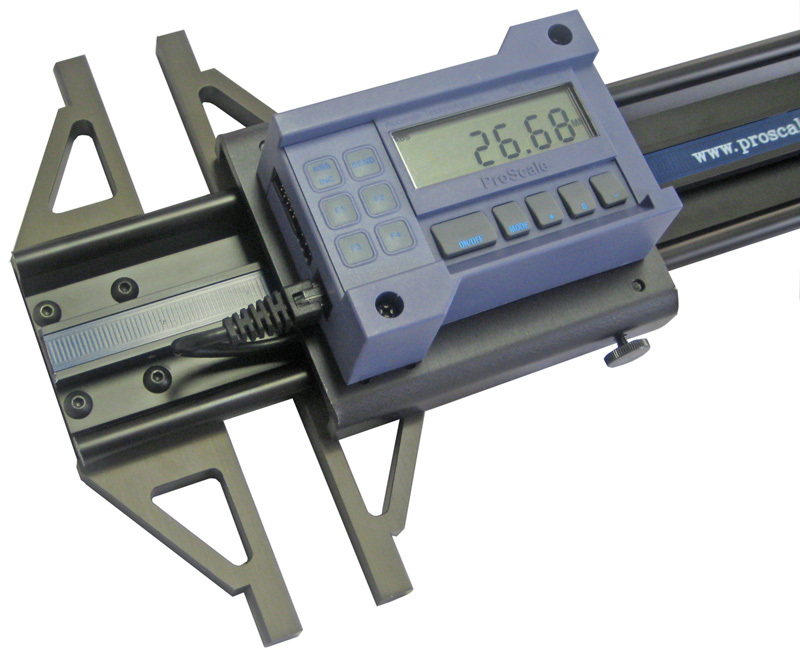 - ProPanel-HDE is a precision measuring tool built and used like a caliper to make inside, outside, diagonal, hole-edge and hole-hole dimensional measurements. 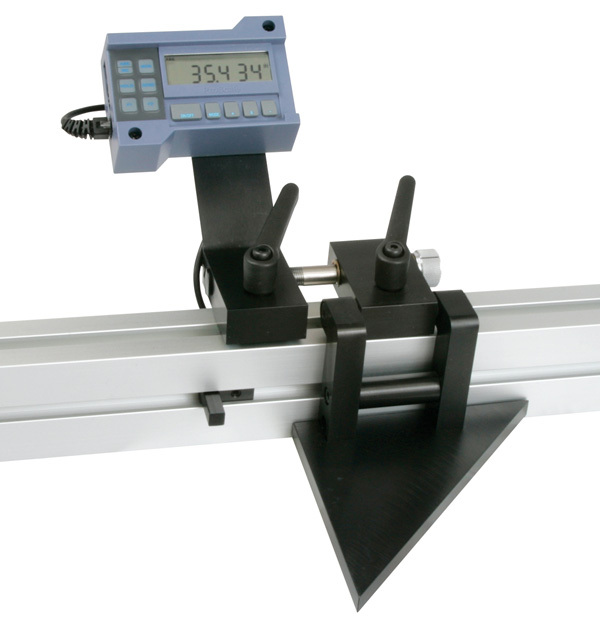 - ProTable is a single axis measuring system designed for quick and affordable length or width measurements. 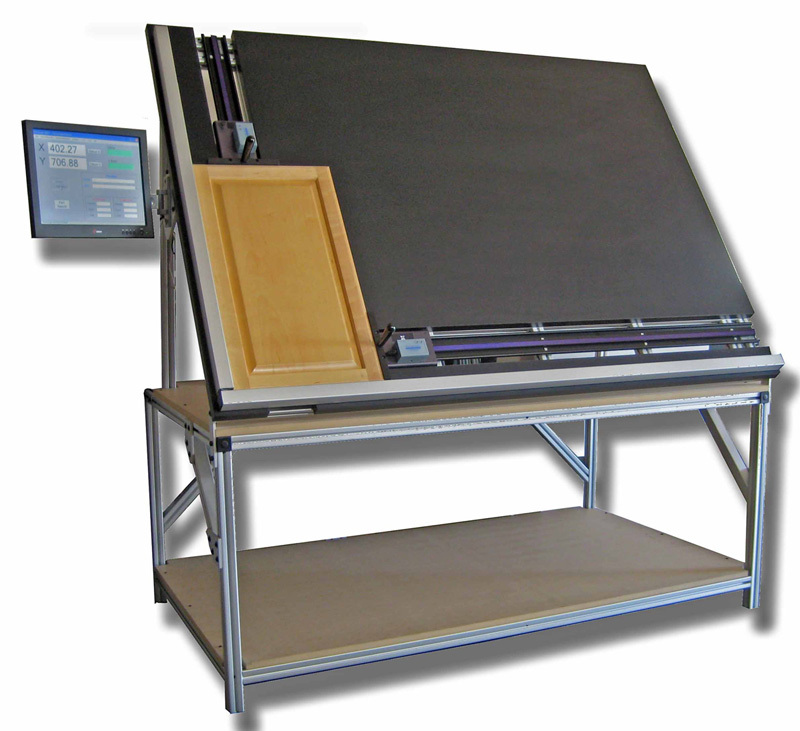 - ProTable-CAB is a two axis measuring system designed for quick and affordable length and width measurements of cabinet doors. 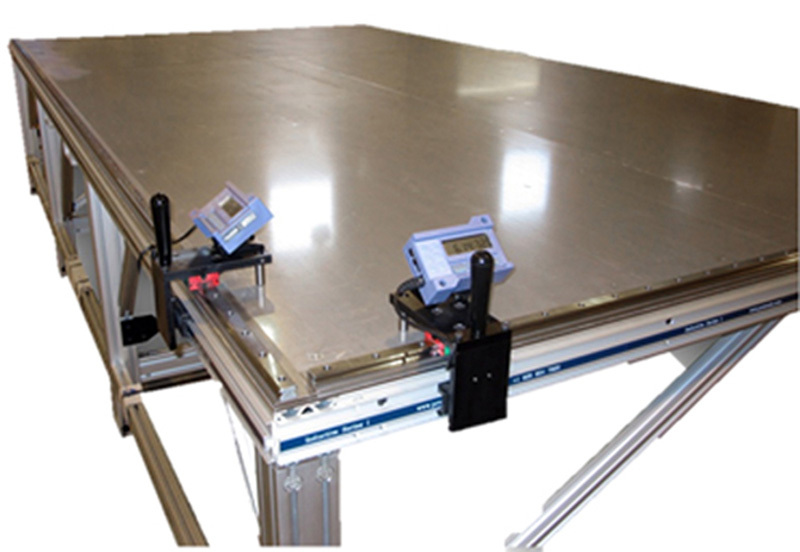 - ProTable XY is a one or two-axis measuring system designed for panel or sheet type products from .012 -.250 inch, (3- 30 gauge) thick. 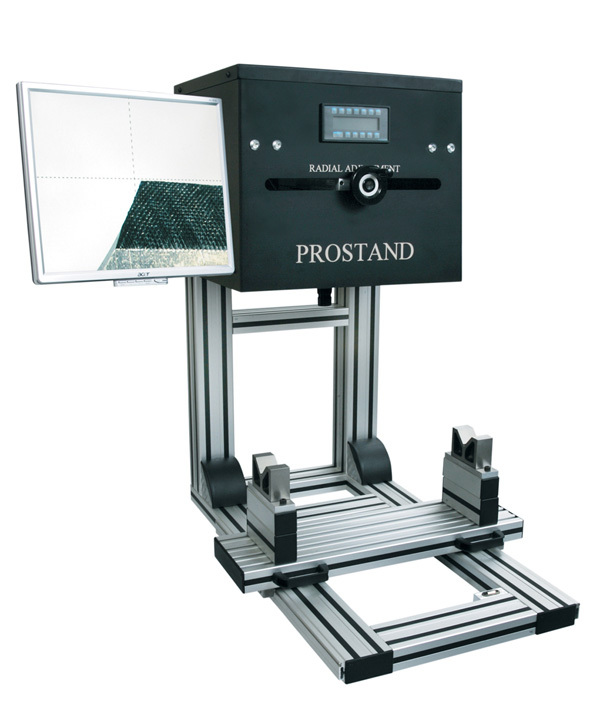 - ProStand is a system for measuring, calibrating, and cataloging moulder cutterheads.